A new and romantic way to wish Chocolate Day to the loved one. 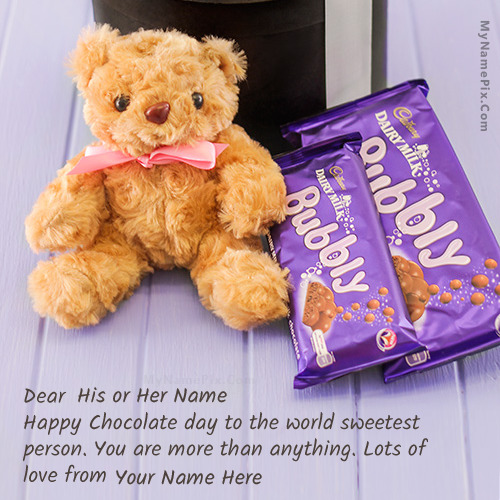 Get Happy Chocolate Day Wish with name of your love. Make feel them extra special. You will love it. Get personalized chocolate day images with the name of your girlfriend, boyfriend, or lover. It's the best way to wish the chocolate day to someone special. Make your wishes more interesting and romantic.